If you own an iPhone, of course, you hope that nothing will ever go wrong with it. However, even for the most careful of us, accidents still sometimes happen, resulting in cracked screens and other damage that require San Diego iPhone repair. On top of that, you may also have to deal with hardware or software issues as well. If your iPhone is still covered under the manufacturer’s warranty, it’s no big deal to take it right back to the Apple store for repairs. Unfortunately, the warranty is likely to run out before you experience any major problems with your phone. Without the warranty protecting your device, you’ll have to pay for any repairs you need out of your own pocket. The Apple store tends to be quite costly for repairs, so you’ll likely want to take your iPhone elsewhere to have it fixed. It is important to note, though, that not all San Diego iPhone repair shops are alike. There are a number of factors you’ll need to take into consideration when choosing a repair shop. The first thing you’ll want to ask is how much your repair will cost. Some shops charge more than others for the same repair services. 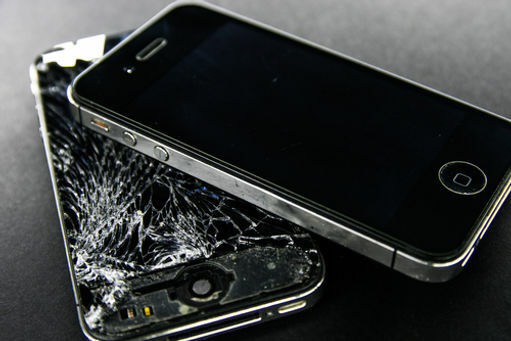 Be sure to get a price quote in writing before you leave your phone with any repair shop. You don’t want there to be any surprises when you return to pick up your phone. 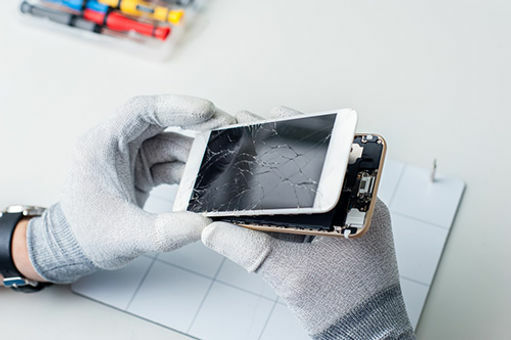 In the event that your iPhone requires additional repairs on top of what you were given an estimate for, the shop you choose should contact you for your permission to complete the repairs. They should also give you an estimate for the cost of the new repair at this time. No San Diego iPhone repair shop should complete any repairs on your phone without your direct consent. To make things easier, it will be helpful if you can provide an alternate contact number, like your office phone, your spouse’s number or your roommate’s. If you do not have another phone number at which you can be reached easily, you’ll have to check back in at the shop to verify that everything is proceeding according to plan. Although cost is an important concern, you don’t necessarily want to go with the cheapest shop you can find. Prices that are significantly lower than those at other shops may indicate that the quality of the parts and workmanship is not up to par. Aim to strike a balance between quality and affordability. Take a look at all of the services that the shop offers. Do they specialize in iPhone repairs, or are they primarily a computer repair shop that also fixes phones on the side? The goal here is to determine whether or not the shop is qualified to fix your phone properly. This does not necessarily mean you have to go to a specialist store. Many shops that work on a variety of electronics will still have the skills and expertise necessary to fix your phone. Just make sure that fixing iPhones is something that they do on a regular basis, not just occasionally, to have the best chance of getting quality work. When it comes to iPhones and other electronics, there are many different types of parts on the market. Some of these parts are manufactured by Apple, while others are made by independent manufacturers. With these aftermarket parts, there is a wide range in terms of quality and performance. Try to look for a shop that uses original Apple parts in its repairs. This will give you the greatest peace of mind that your phone will be fixed properly and you will not run into the same issue again in the future. If you are looking to save a bit of money, you can also ask for refurbished Apple parts. These parts are still made specifically for iPhones, but they have been previously used. Before releasing the parts for reuse, Apple has verified that they meet all current standards for functionality. This is a great opportunity to lower your repair cost while still getting original Apple parts. If cost is a primary concern for you, you can get by with non-Apple parts. However, in this scenario, you run the risk that the parts used may not be fully compatible with your phone, which could lead to other issues in the future. You’ll need to carefully weigh your options to choose which parts are best for you. Between text messages, emails, calendars, social media, GPS and more, our lives have become so entwined with our iPhones that being without them for just one day can seem like torture. When choosing a San Diego iPhone repair shop, you want to ensure that they can complete the repairs in a timely manner. You don’t want to have to be without your phone for any longer than is absolutely necessary. Many high-quality repair shops can complete the work for you in one hour or less, although this depends on the extent of the repairs required. Simple repairs can be done quickly. If your phone is having serious problems, though, it may require more time to get to the root of the problem in order to fix it. If you do not plan to stay in the shop and wait for the repairs, be sure to get a firm delivery time so you know exactly when to come back and pick it up. Do not accept an answer like, “sometime later today,” or, “by the end of the week.” If a repair shop seems reluctant to give you a specific time to come back, you may wish to look for a different shop that can be more considerate of your time. You don’t want to have to come back to the shop multiple times, only to hear that your phone still isn’t ready for pick-up. The internet can provide a wealth of information about iPhone repair services in San Diego. Sites like Google and Yelp are excellent sources for customer reviews. You can also look on Facebook and other social media outlets for customer comments. When reading reviews, keep in mind that people are far more likely to put in the effort to write about a bad experience than they are a good one, so don’t let a few negative reviews turn you off. Instead, look for the overall pattern of the reviews. If they are mostly positive, you are probably safe. On the other hand, if the reviews are predominantly negative, you would probably be better off finding a different shop. Pay attention to the specifics of the reviews as well. For example, if a particular shop has glowing reviews regarding its repairs but poor ratings for the friendliness of the technicians, you may be able to overlook the bad in favor of the good. However, exemplary customer service reviews won’t make up for shoddy workmanship. At the end of the day, the most important factor you are looking for is the quality of the work. You’ll need to prioritize the things that are most important to you in a repair shop so that you can find one that best matches your needs. Of course, you hope to find a shop that is perfect in every way, but in the interest of saving time on research, you may end up having to go with one that is close enough, even if it isn’t 100-percent perfect. It is important to know that the San Diego iPhone repair shop you choose has ample experience in fixing your particular model of iPhone, but it is even more important to know that the particular technician who will be completing your repairs also has sufficient experience. Even if the shop you choose has completed thousands of iPhone repairs, the technician assigned to your repairs could be in their first week on the job and may not necessarily know what they are doing. Be sure to phrase your questions to ensure that the shop associate understands that you are asking about the individual technician, not the shop overall. If you are assigned an inexperienced technician, don’t be shy about asking to work with someone with more repairs under their belt. A reputable shop should be more than happy to accommodate your request; if they are not, take your business elsewhere. Always ask if the technician will complete the repairs in front of you. You don’t necessarily have to stay and watch the entire repair, but you want to know that the technician would be comfortable with it if you do decide to stay. While this may seem like an odd request, the unfortunate truth is that many dishonorable repair shops will remove working parts from your phone and replace them with cheaper aftermarket parts, even if those parts have nothing to do with the repairs you require. They then use your high-quality parts in repairs for other customers or sell them and pocket the cash. By asking to watch the repairs be completed, you can protect yourself from these and other shady business practices. If a shop gives you a legitimate reason why you cannot watch the repairs, you will most likely be alright, provided you have chosen a reputable shop. If, on the other hand, the shop just flat-out refuses to let you watch, head straight out the door and find a different facility. No matter which repair shop you choose, do not leave without verification of some form of warranty on all repairs completed. You don’t want to have to pay for additional repairs due to complications from faulty parts, sub-par workmanship or even just technician error. Even the most skilled technician can make mistakes from time to time. You’ll want to make sure that you are protected. In most cases, the warranty will only cover the parts that were replaced or repaired, although some shops do offer more comprehensive warranties. Make sure you fully understand the details of your new warranty before you leave the shop. Ask for specific examples of what would and would not be covered under the warranty, as the wording can sometimes be a bit confusing. In addition to the warranty on the parts used in the repair, you’ll also want to ask if the shop takes responsibility for any possible damage to your phone. Even with experienced technicians, mistakes are always a possibility, and you don’t want the technician’s error to cost you your phone. 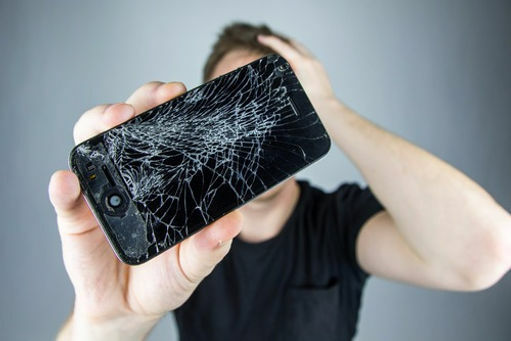 Make sure that the shop you choose is insured or will replace your phone at no additional cost to you in the event that they accidentally break it in the process of trying to repair it. Even if the shop insists that they will not break your phone, you should still insist that they explain their policy if it does indeed happen. 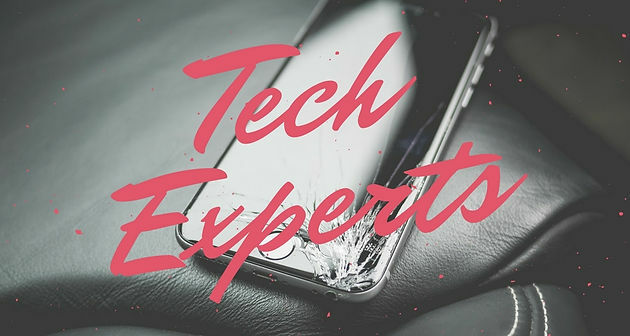 Here at San Diego Tech Experts, we strive to offer the best service possible for both you and your iPhone. We are proud to specialize in Apple products, giving you the confidence that we have the expertise necessary to get your iPhone back into perfect working order. In the vast majority of cases, we can have your issue diagnosed and the repairs completed in just one hour so that you can get back to your day. However, we will never sacrifice the quality of our work in the name of speed. We guarantee that we will give your phone all of the time and attention that it requires. We would be more than happy to answer any questions you may have about our services, so don’t hesitate to call us when you need your iPhone repaired. Our friendly technicians are always on hand to help out with whatever you need. Get in touch with us today to learn more about our San Diego iPhone repair services.